received this Invite, I was more than curious. Who would be those TWO of the Biggest and World renowned Sports Celebrities ?. I called up some blogger-friends, but many of them had not received The Invite and those who had received it had no idea , who those Two Sports-Celebrities would be. I had already r.s.v.p.ed for another press-event at The Taj Mahal Palace on the same day. I was a bit skeptic whether I will be able to reach ITC Grand Central ( Lower Parel ) at 2 p.m., as the Taj Mahal Palace ( Colaba ) event was scheduled from 12-2 .
relieve pain from people s lives." Chhetri said, "The game is getting faster and faster and being a striker I rely on absolute flexibility in movement so it is great to see Volini come up with an innovation that takes care of 360 degree solution to instant pain relief; be on field or off field." 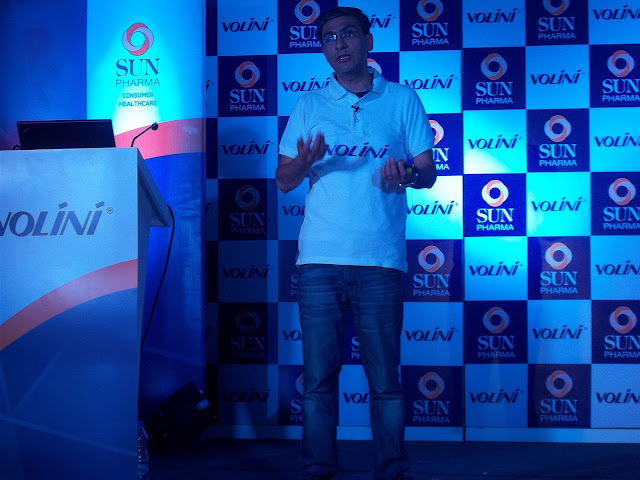 Subodh Marwah, VP and Head, Global Consumer Healthcare, Sun Pharma said, "During research we learnt that when pain occurs in hard to reach areas, the spray can be inverted causing loss of medical formulation by upto 40% resulting in less relief from pain. Through our latest offering, Volini Spray with 360 degree technology we are addressing this problem, by providing more effective relief at every angle." 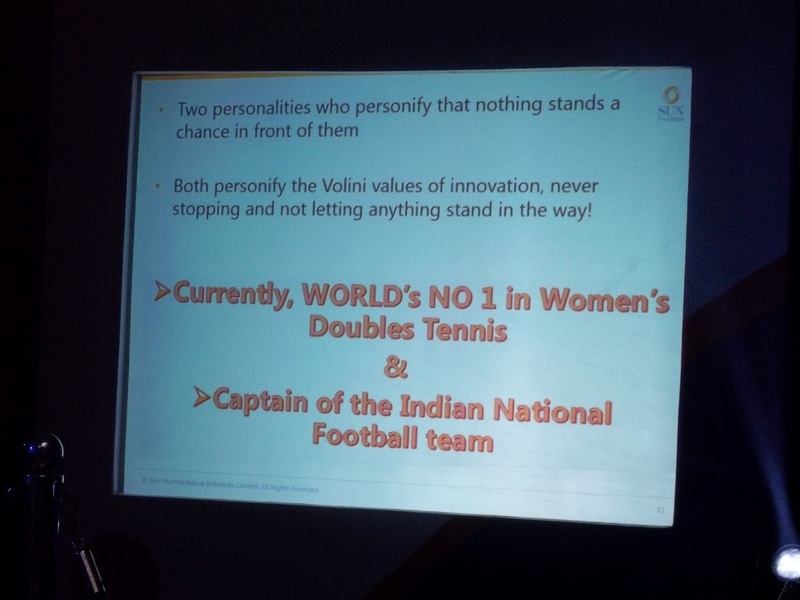 Bringing the two sports icons on board further enhances the association of Brand Volini with sports and high performance. The two eminent personalities also unveiled the brand’s latest offering Volini Spray with 360 degree technology. Furthering its ethos of innovation, Volini now offers a 360 degree spray which enables the can to produce uniform spray pattern for optimal coverage. This enables consumers to reach out to hard-to-reach areas without external assistance at every angle and provides effective relief. 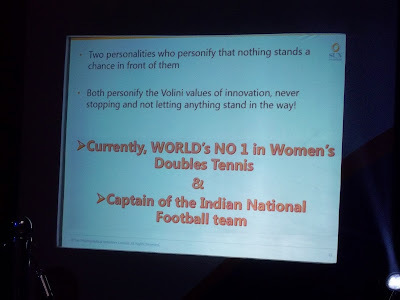 Sania and Sunil’s appointment will be supported with an advertising campaign that will go on air soon. 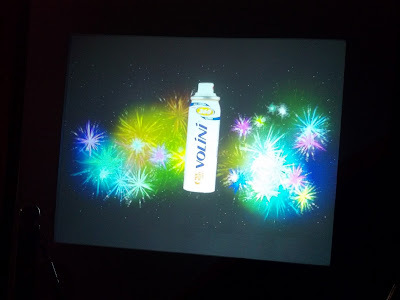 In addition to this, the brand will also run an integrated marketing campaign that includes interesting Point of Sale collateral, innovative outdoor promotion and media support to give this launch a 360 degree impact. The product will be available in 40 gm, 60 gm and 100 gm packs with the MRP of Rs 108, Rs 163 and Rs 218 respectively. Volini is a modern day pain reliever, scientifically formulated for effective pain relief that is available in two formats: Gel and Spray. Volini Gel’s quick absorb, no massage nanogel formula penetrates deep into the pain area to give quick and long lasting relief from pain. It can be used for joint, back, neck and shoulder, sprains and strains. Volini Spray’s convenient and on the go format provides instant relief from pain anytime, anywhere! 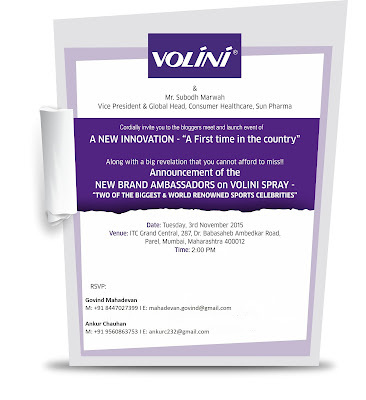 Volini has legacy of being a doctor recommended brand and has maintained its leadership position by being the No 1 doctor prescribed brand in both Gel as well as spray format. The brand believes in the philosophy that pain should not act as a hindrance in living life’s moments to the fullest. With Volini, pain doesn’t stand a chance!